Documenting the Decolonizing Schools Together Project. This video documents how Kim Wheatley shared her experiences to inspire students, how Indigenous mentors Philip Cote, Alan Colley, Brenda MacIntyre and Jolene John guided students’ responses, and what students learned. Facing History and Ourselves: Kim, can you tell our readers what motivated you to share your story with the students? Kim Wheatley: Motivation for me always comes from a deep desire to manifest real change in the world based on truth, respect and "right" relationships. Returning to the high school that left me feeling invisible, ostracized, bullied, silenced and invisible was a long time wound that I needed to heal. When the students sat to listen to my story, I realized how deep my wound was even at the stage of Grandmotherhood that I am now in. Once I launched into my experiences verbally about high school there were many instances when I thought I could actually cry for my teen self who at that time in the late 70's just had zero self worth and zero sense of belonging. The end experience was cathartic in some ways to just get it off my chest! Walking up to the school doors that day and pausing before I opened the door and remembering what it was like when I was a student there gave me the shivers and I had to swallow hard while forcing myself to just enter...not only the school in the present but also with a piece of my mind stuck in the past. I was grateful for the students who listened and seemed to really care about how this story...MY story could inspire them into meaningful changes. I left that day with hope and some gratitude for being able to put a bit of my painful past to rest. Following Kim’s sharing and their empathy building reflections, students from Crystal Dumitru’s classes engaged in a massive ideation exercise as Kim’s singing and drumming filled the room. Photo courtesy Jasmine Wong. Here is a quick snapshot of a few of the ideas students wrote in response to hearing Kim speak, doing some empathy building reflection and thinking about the project's guiding question. These ideas, from Crystal's class, came about through a rapid brainstorming exercise using constraints used to push student thinking in various directions. In Lanny's class, the students brainstormed around several of the TRC's calls to action, which also generated many ideas that would later be selected and honed. Photo courtesy Jasmine Wong. FHAO: What comments do you have on the project? KW: To be honest when I was asked to assist in this project Decolonizing Schools Together Project, I had not fully understood the depth and breadth of my commitment nor the enormity of end results. I figured I would provide an authentic voiced experience as a former high school student of Indigenous ancestry and leave it at that. Having been a presenter at many high schools and not really finding students respectfully interested in Indigenous realities my hopes for this project were minimal at best. 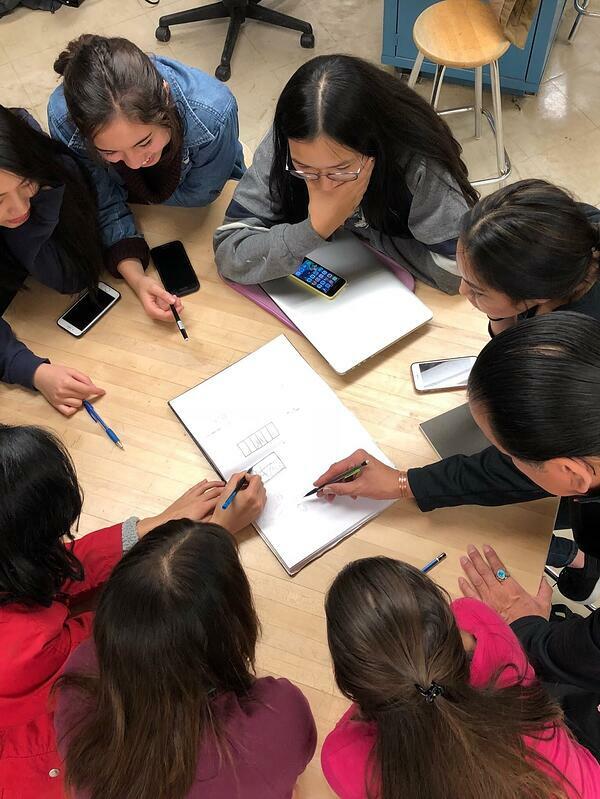 As I traveled from school to school I quickly came to realize that the students I was interacting with were keen on details, reflections and desired changes from my perspective that could improve the experiences of subsequent Indigenous students. Each step was a little trickle of hope that changes would not be "one offs" or shallow short lived cosmetics. 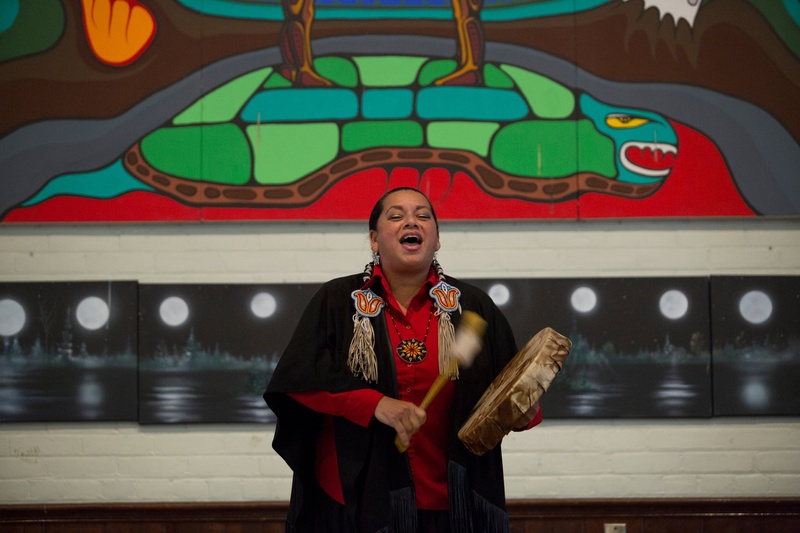 When I was invited to the final sharing at the Native Canadian Center, I had no idea what I was going to experience. It was so emotionally overwhelming I became a child again and wanted to crawl into a corner and become invisible while crying my heart out! My story was captured in so many ways...the inspiration came from me and was about me...shocking to witness and hope inspiring as I viewed the brilliance of ideas, concepts, designs and commitment from so many students. I was so emotionally struck to hear elements of my story repeated by student after student who really heard and responded to my pain and my dreams! For me it’s been really challenging to expose the raw emotions that arise from reflections & experiences of the past as a young indigenous student who felt her identity was a ball & chain of shame. 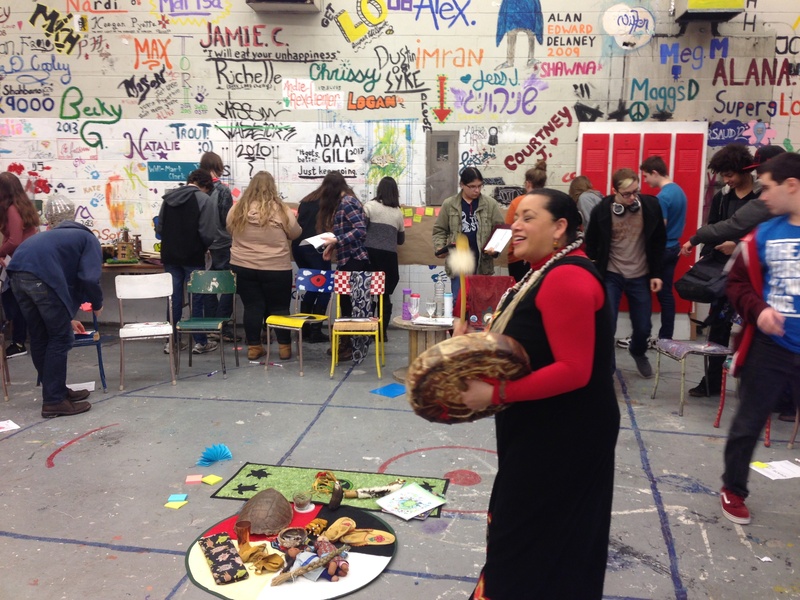 Kim opened the Decolonizing Schools Together Summit at the Native Canadian Community Centre in Toronto where students presented the ideas for change they have worked on with their mentors, and received feedback and consultations on their designs. Photo courtesy Nick Kozak. At this stage in my life I am a mother & grandmother full of confidence and purpose with a solid grounding in my identity. I am no longer silent, invisible or powerless...but when I tell my story that little girl in me is not the same. This project ignited a deep seated flame of hope that youth are the springboard of change for Indigenous acceptance, value and inclusion. I am so grateful for the amazing students who created projects that are so jaw droppingly amazing!! 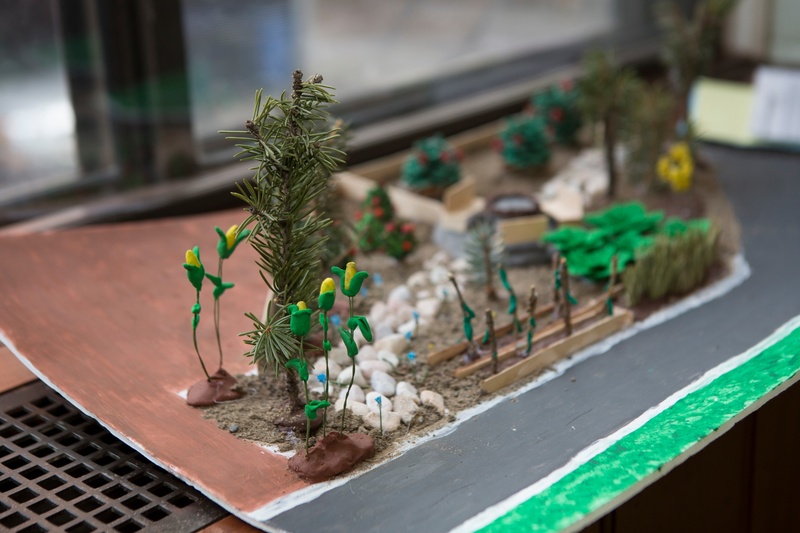 The Woodlands’ students small scale model for a reconciliation garden, presented at the Decolonizing Schools Together summit in April 2017. In it, the idea for a four quadrant garden with benches, and a circle with stones is modeled. Traditional medicines and three sisters plantings are also modeled. Photo courtesy Nick Kozak. FHAO: What has surprised, delighted or trouble me since a year ago? KW: Well a year is a long time where change is inevitable and experiences vast. I am so surprised at how quickly some of the projects took off and that work continues. I am so delighted to be invited back to various schools and actually see the life sized models. I am hoping that projects like the one I was involved in led by students who will become adults in this country will be the seeds of change that are long overdue. We, as Indigenous people, should be recognized as important citizens who hold a special and sacred place in this country we call Canada; who are able to be self determining, equals to any Canadian citizen in terms of rights and a key educational component in the academic realms of experience for all students. I am endlessly thankful to Facing History & Ourselves and the visionary project "Decolonizing Schools Together Project", to the schools who allowed me to share, to the students who faultlessly listened, to the amazing project that brought us all together and for the healing that has manifested in my sense of being and belonging as a result of my participation. The projects students created make my heart sing and my spirit is renewed with hope! How are Decolonizing Schools Together students and teachers transforming their schools? The students involved in the project wanted to find ways to integrate contemporary Indigenous culture and languages into each day, so they started morning announcements during the fall semester with the music of various Indigenous artists and greetings in five local Indigenous languages. On any given afternoon, if you visit Lanny Cedrone’s wrestling team during warm up, you will hear the awesome beats of A Tribe Called Red’s “Stadium Pow Wow” playing. After attending the opening ceremony for the teaching garden, another student shared with his teacher, Lanny, that for the first time in his schooling, he felt proud to be Indigenous. 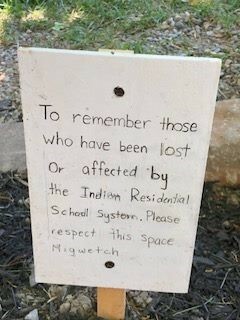 Although heartbreaking, this sentiment demonstrates the importance and need for projects like Decolonizing Schools and to work towards reconciliation. As the year progressed, Lanny has - with the support and guidance of the Peel Aboriginal Network - routinely invited Indigenous speakers to teach his classes. Last week, students in the Construction Technology program at LASS added an outdoor community classroom next to the Medicine Wheel Garden. This new addition is designed as a circle, reflecting the importance of circles in Indigenous teachings. 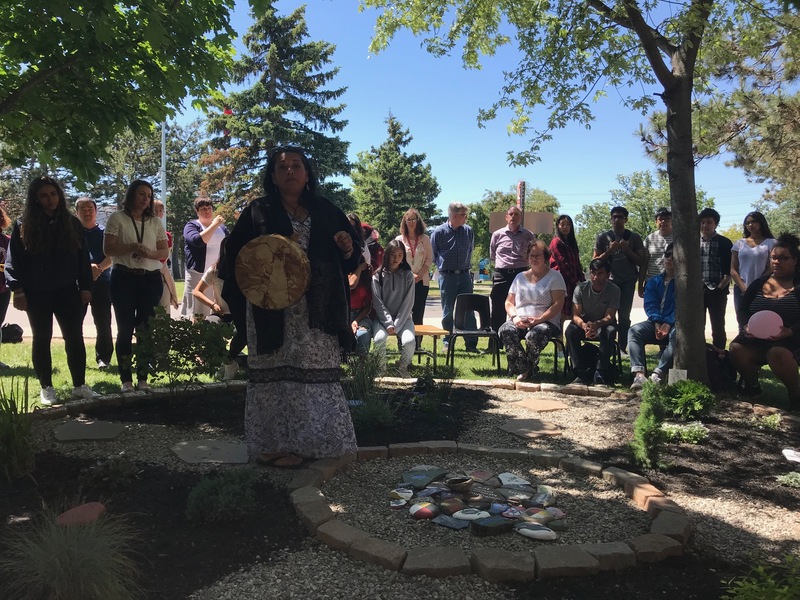 Earlier this week, Kim returned to her old high school to celebrate the opening of a Reconciliation Garden: A garden that reflects a sacred circle with painted rocks demarcating the cardinal directions and colours. 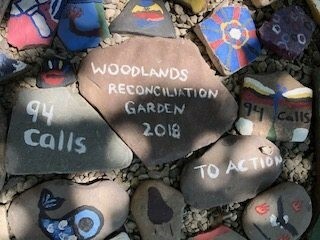 The students envisioned this garden to be not only a place of learning and a reminder of the need to continue pursuing reconciliation, but also to be a memorial for those who were lost and affected by the Indian Residential School system. Kim speaks during the opening celebration of the Reconciliation Garden at the Woodlands Secondary School earlier this week. Photo courtesy Cheryl Payne. Students carefully wrote signs around the garden to convey the purpose of the garden and to invite visitors to journey toward reconciliation. Inside the school building, Phil Cote began working with students on their design for a mural. 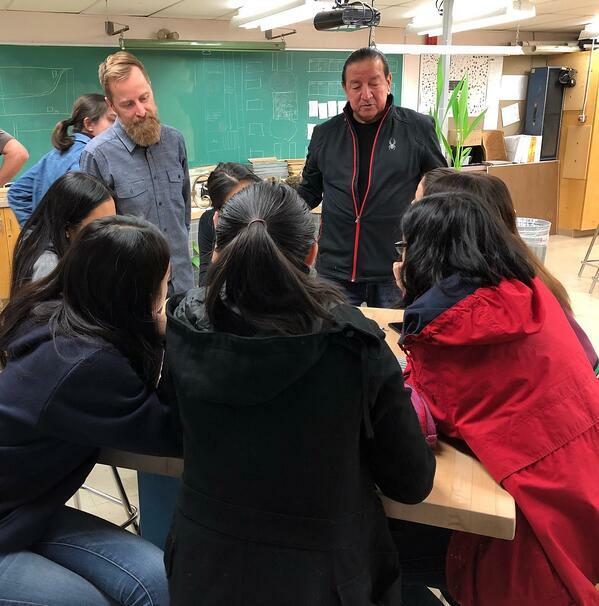 At Don Mills Collegiate Institute, Green Industries teacher, Dan Kunenec, and his project students continued to work with Alan Colley throughout the year. They will be adding traditional plants such as strawberries, maize (corn), squash and beans (food staples referred by Haudenosaunee and Seneca peoples as the “three sisters”) to their produce gardens; this produce benefits both the hospitality program at Don Mills Collegiate, and also sells to restaurants. Dan also plans to plant traditional medicines in the coming year. Under Alan’s guidance, the aquaponic system which Dan and his students built prior to the Decolonizing Schools Together project, will soon be populated with local fish species (rather than the koi that live there now). These fish will also be used in the school’s culinary program. Using lumber from various TDSB school sites, Dan and his students have been kiln drying and building circular seating for an outdoor classroom that’s been roughed in, in the courtyard as well. 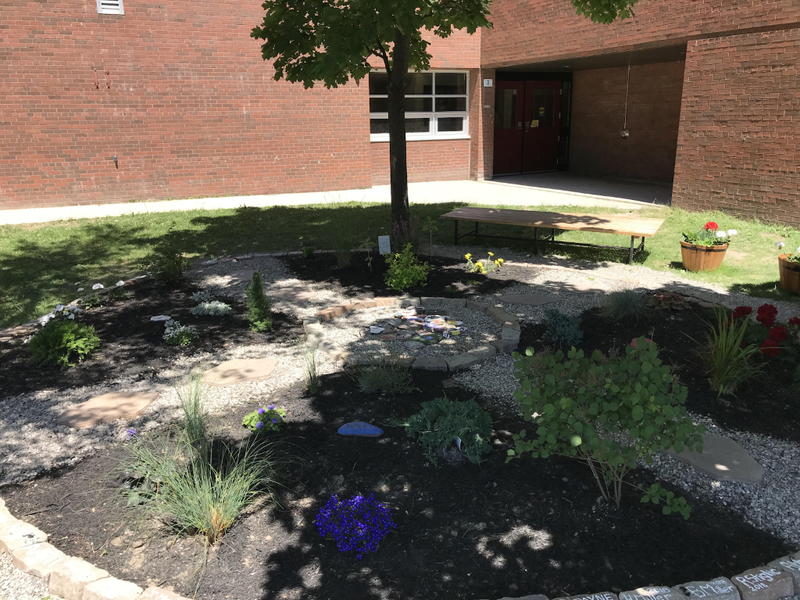 Teachers Ben Gross and Blakely McAlister, and students from the project and CyberArts programs have continued to work with Phil Cote to design a mural and bench for the entrance of the school. The mural is based on the Anishinaabe creation story and some of its teachings, as well as the history and future of the Wonscotanach (Wendat) or the Don Valley River, which borders the school. Facing History and Ourselves has, since its inception, been committed to teaching an approach to learning history, and reading literature that empowers young people to be active and compassionate citizens - citizens who take responsibility to stop antisemitism, racism, bigotry when they see it, and who act as upstanders when they see injustice; and not just to teach this approach, but also to support it through resources and ideas. 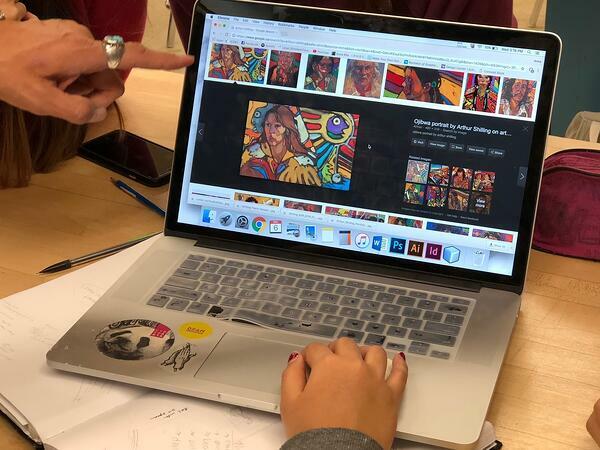 When we began thinking about this project, we hoped to give students who were learning about the history of Indian Residential Schools an opportunity to authentically respond to what they were learning. What happened when Kim began to share her experiences with students was powerful. Students listened and realized that their schools lacked representation and recognition of the diversity of Indigenous peoples, and their enduring presence, knowledge and contributions, and that the erasure and stereotypes that Kim faced in her youth were still present in their schools today. 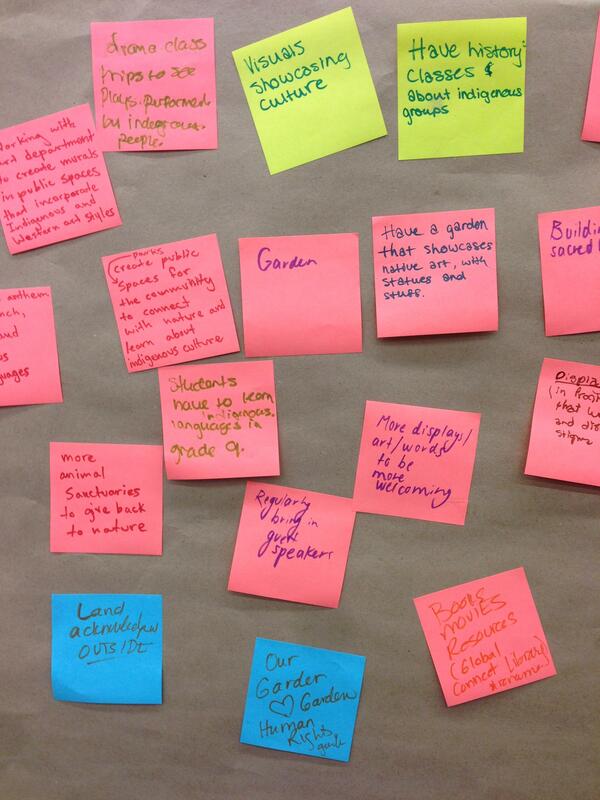 The breadth and depth of ideas students shared was exciting. I think the changes that have been taking place in schools this past year are a testament to the amazing, inspiring teachers and students who committed so many extra hours and energy to realize their projects; to courageous principals who say yes and give time and lend support to their teachers and students for pursuing reconciliation wholeheartedly; to Kim Wheatley, Phil Cote and Alan Colley (Chi miigwetch!) who not only trusted us and our students, but also continued to lend their time, knowledge and encouragement to the realization of the projects. I hope - and in some cases know - that these changes are just the beginning for schools to become spaces that are more equitable, inclusive, and responsive to the Truth and Reconciliation Commission’s Calls to Action. I hope that these schools, these teachers and students, will serve as a reminder of what’s possible and an inspiration that other schools can follow. Like Kim said in her interview, I also hope that these youth will grow to be decision makers who seek reconciliation in all that they do. These changes need to happen, and they can’t happen quickly enough. Our kids - Indigenous and non-Indigenous - depend on it. To learn how Facing History and Ourselves' approach to teaching history and literature can ignite your students' passion for social justice and change, join us this summer for our seminars!